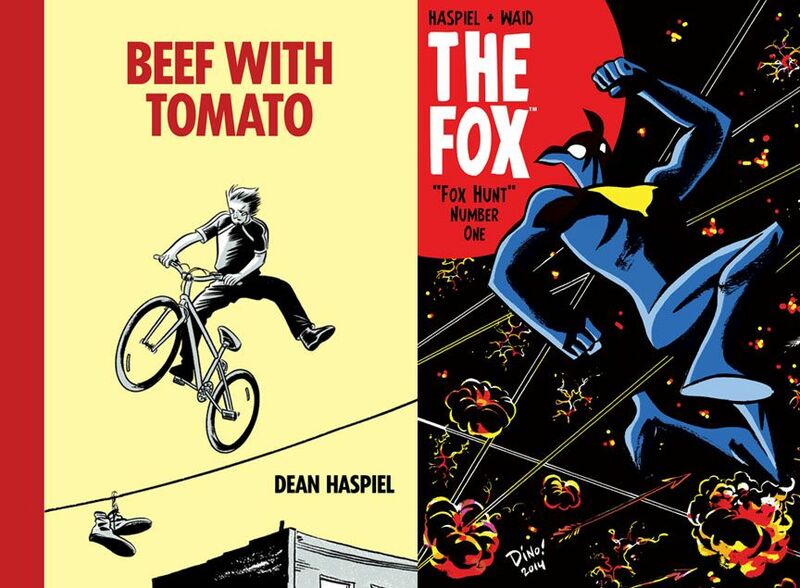 Please consider my graphic novel memoir, BEEF WITH TOMATO, published by Alternative Comics (in conjunction with Hang Dai Editions), and THE FOX, 5-issue "Fox Hunt" arc I co-wrote and drew for Archie/Dark Circle Comics (in collaboration with Mark Waid, Allen Passalaqua, John Workman and Rachel Deering). Please also consider Gregory Benton's SMOKE, Seth Kushner's SCHMUCK (illustrated by various artists), and Josh Neufeld's THE VAGABONDS #4, all published by Hang Dai Editions. --John Leguizamo's GHETTO KLOWN, written by John Leguizamo and illustrated by Christa Cassano & Shamus Beyale (Abrams Books). --THE BUNKER by Joshua Hale Fialkov & Joe Infurnari (Oni Press). There are so many great print and digital comix to consider from what was released in 2015. I wish there was a proper list to consult but I know I will be rifling through my comix to help pick and choose and I hope you will, too.